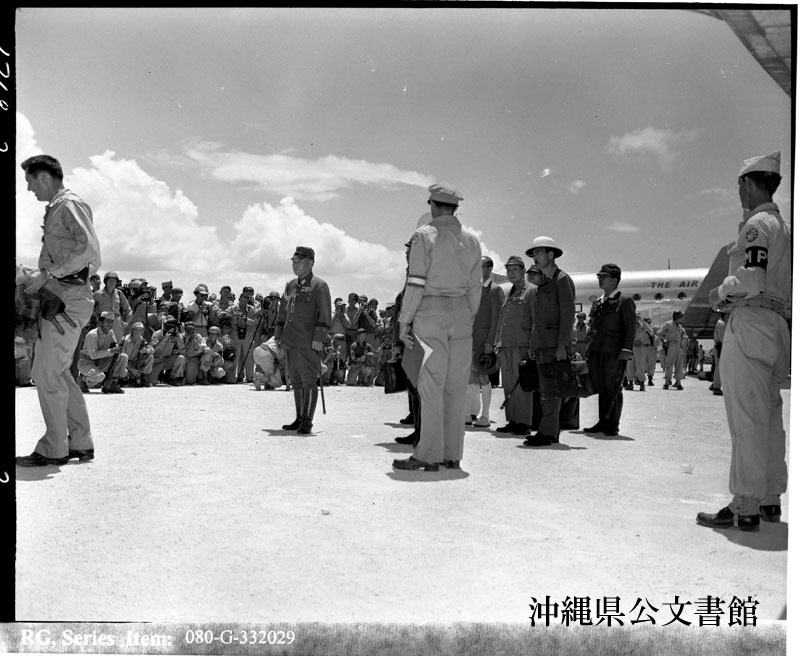 AS JAP DELEGATION ARRIVES AT IE SHIMA - Some of the 16-man Japanese surrender arrangement delegation wait to board an American transport being readied for them as they arrived at Ie Shima on the first leg of their journey to Manila. Second from left is Lieut. Gen. Kawabe Takashiro, Vice Chief of the Imperial Staff and leader of the delegation. 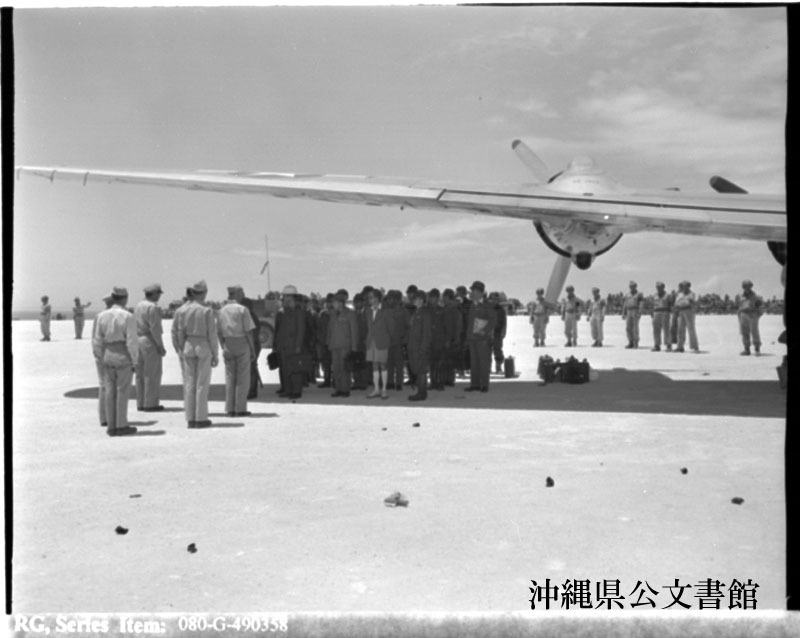 Japanese envoys headed by Lt. Gen. Torashiro Kawabe, vice chief of the Imperial General Staff, boarding a C-54 at Ie Shima Airfield in Ryukyus for trip to Manila, Philippine Islands to discuss surrender terms with representatives of Gen. Douglas MacArthur, Supreme Allied Commander. 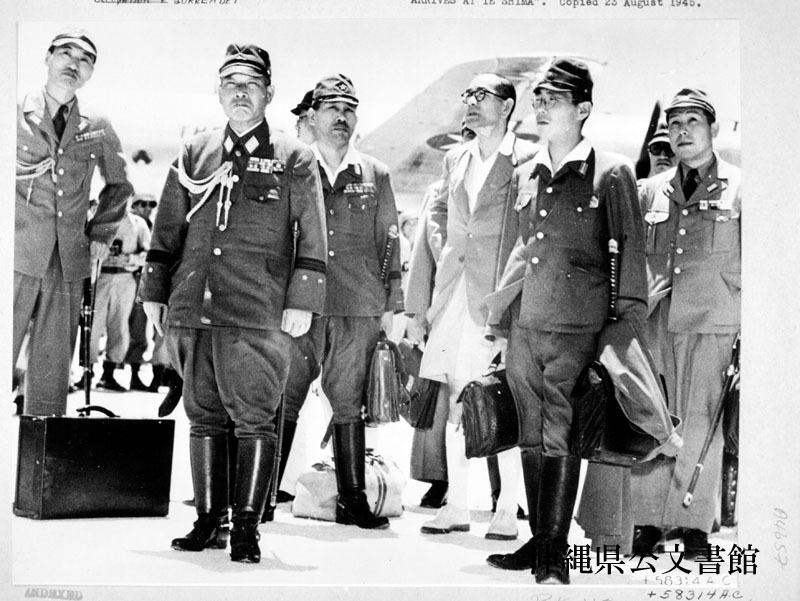 Jap envoys enroute to Manila, Philippine Islands for discussion of surrender terms at Gen. Douglas MacArthur's headquarters change from two Jap Bettys on Ie Shima Airfield in Ryukyus to continue their journey in a C-54. High-ranking officers of the U.S. Army face Japanese envoys to Gen. Douglas MacArthur, under the wing of a giant C-54 waiting on Ie Shima to take the enemy dignitaries to Manila for conferences with the Allied Commander-in-Chief. 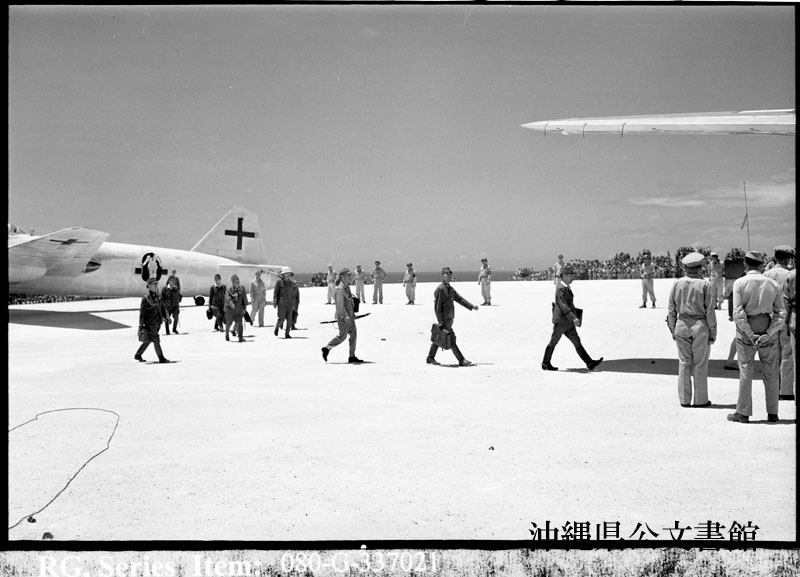 The Japs landed at the island in distinctively marked planes and transferred to the transport for the last leg of their journey.